For photos of the sire and dam, please see the Picasa account listed here. 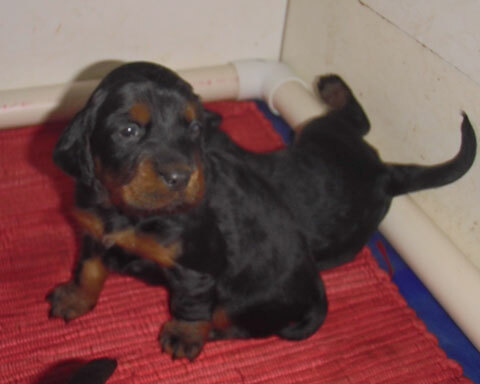 Current 8 week photos of the puppies are available on the Picasa account listed here. 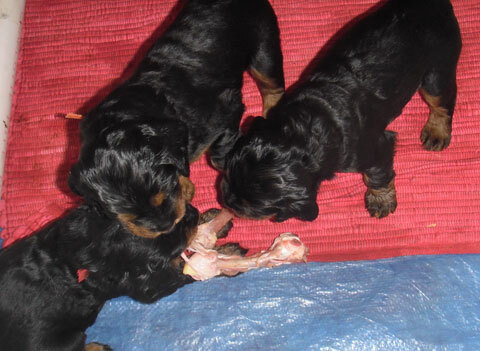 The puppies out of Mavis arrived on Sunday, January 30, 2011. 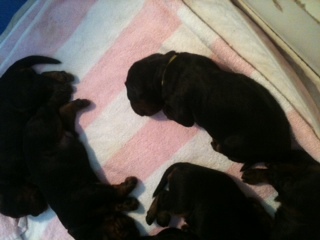 There are seven puppies in the litter - 4 girls and 3 boys. Puppies are still available. Contact Peggy DaValt at 608.658.3779 for more information. For photos of the puppies at 8 weeks click here. 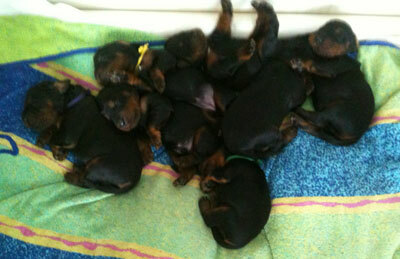 The puppies on their blanket. 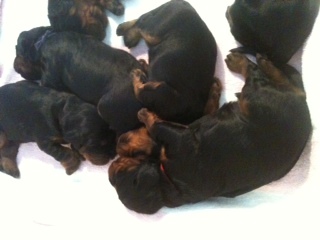 Another photo of the puppies. © 1997- 2011. 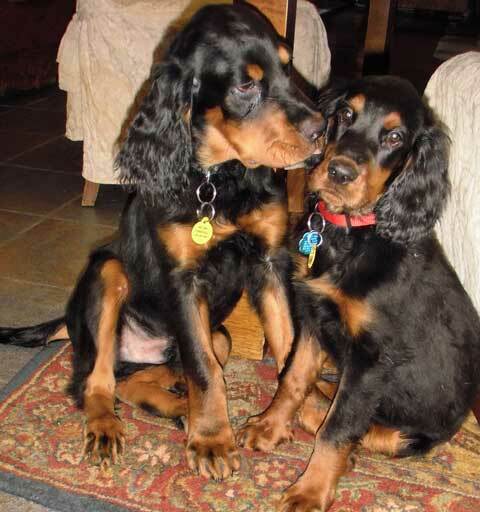 Amethyst Gordon Setters. All Rights Reserved.